Have you ever opened your web browser only to be bombarded with an instant barrage of ads? Pop-ups, videos, and surveys all fighting for your attention trying to drive traffic to their website. Chances are it’s a daily occurrence and chances are even better that only a small percentage of these ads are memorable to us as an audience. Forbes digital marketing experts estimate the average American sees or hears 4,000-10,000 ads per day. As a brand, how does one most effectively navigate these over saturated waters to connect with potential consumers? You flip the script and get outside. 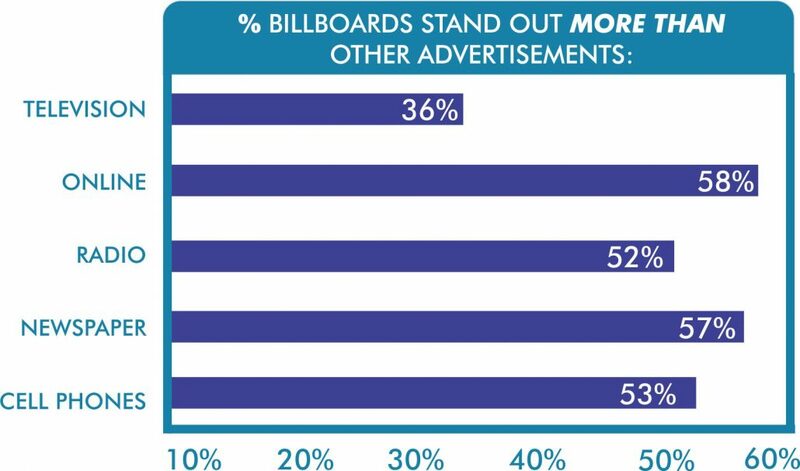 Out Of Home (OOH) advertising is currently one of the fastest growing mediums on the market and ironically enough, even the largest tech companies like Apple and Google are taking note. They say what is old is new again and the “old-school” billboard is most certainly still a powerhouse on the advertising front. Since 1968 Durden Outdoor has been making clients FAMOUS and we are happy to see current trends reflect what OOH advertisers like us have known all along. If you are interested in increasing your brand’s bottom line contact one of our sales associates today!